WOW! Accident free, one owner, Diesel Touareg! This vehicle is inimmaculate shape! It comes equipped with; power memory leather seats, pano sunroof, heate seats, heated steering wheel, cruise control, voice activated bluetooth, and much much more! 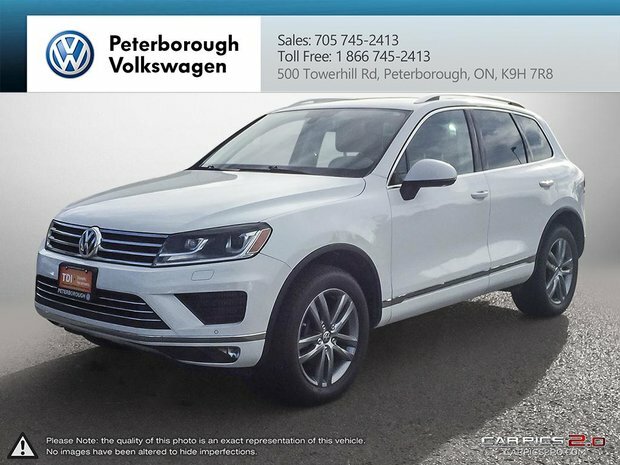 Finance this vehicle through our Certified Pre-owned program which offers special LOW finance rates and factory VW extended warranty options! 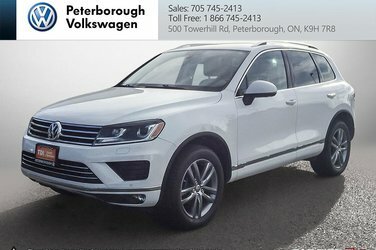 Test drive today at Peterborough Volkswagen located at 500 Towerhill Road, 705-745-2413.